W. W. Norton & Company, 9780393330014, 386pp. 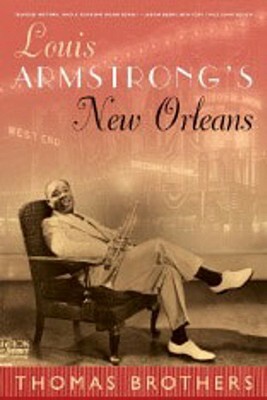 Louis Armstrong's New Orleans interweaves a searching account of early twentieth-century New Orleans with a narrative of the first twenty-one years of Armstrong's life. Drawing on a stunning body of first-person accounts, this book tells the rags-to-riches tale of Armstrong's early life and the social and musical forces that shaped him. The city and the musician are both extraordinary, their relationship unique, and their impact on American culture incalculable.